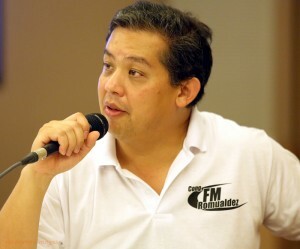 TACLOBAN CITY — House independent bloc leader and Leyte (1st District) Rep. Martin G. Romualdez yesterday asked President Benigno “Noynoy”Aquino III anew to give local government units (LGUs) a more active role in long-term rehabilitation and rebuilding efforts for Yolanda-stricken areas. Romualdez underscored that LGUs should be consulted enough in the rebuilding process one year after the super typhoon hit central Philippines. He explained that LGUs know what is good for their people better than any other government agency. “LGUs are not given enough role in the rebuilding efforts. I hope the government will recognize the devolution policy or LGUs’ empowerment in the decision-making because local officials know better what is good and best for them,” Romualdez stressed. It was on October 29, or more than a year ago, when President Aquino finally approved the 8,000-page P167.9-billion Yolanda Comprehensive Rehabilitation and Recovery Plan that Presidential Assistant for Rehabilitation and Recovery (PARR) Sec. Panfilo Lacson recommended. The program aims to “build back better” the resettlement, infrastructure, livelihood, and social services in 171 cities and municipalities ravaged by the powerful typhoon. Super typhoon Yolanda affected 1.5 million families, of whom 918,261 were outright displaced. Official government figures show that there were 6,300 deaths, 1,061 missing, and 28,689 injured. The Leyte lawmaker said that LGUs have not been given adequate financial assistance by the government. “The assistance being provided by the government is not enough to support the needs of the survivors,” stressed a disappointed Romualdez. He warned that more Yolanda survivors would continue to hold protest actions to demand immediate and adequate assistance from the government.